Loss of teeth is sometimes a symptom of aging. However, just because your senior loved one has no teeth does not mean he or she should only eat unhealthy foods like ice cream. These ten foods provide excellent nutrition while being easy to consume without chewing. Yogurt is a great source of calories, proteins, and fats, and it can keep your loved one nourished. Choose a type of yogurt with plenty of live probiotics to boost gut health. If your aging loved one is not getting the nutrients he or she needs to maintain a healthy lifestyle, consider hiring a professional caregiver. Maintaining a high quality of life can be challenging for some seniors, but professional caregivers can help them obtain this goal. Families can trust in Georgetown, SC, home care experts to help their elderly loved ones focus on lifestyle choices that increase the chances of living a longer and healthier life. This common breakfast option has a high amount of nutrients. Oatmeal is also an excellent way to include more fiber in a senior’s diet. Eggs are packed with protein and healthy fats, so they are an excellent choice if they are soft and scrambled. 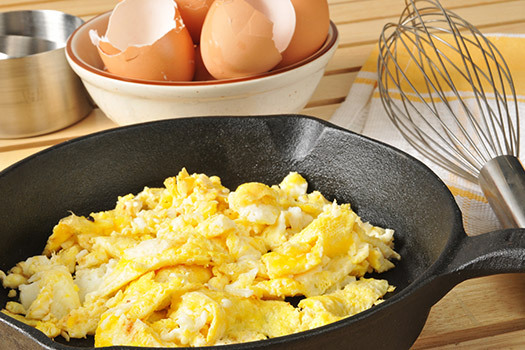 Eggs are quick and easy to cook even if you are a busy caregiver. Seniors do not have to give up the meat they love because of a lack of teeth. Try using a slow cooker to cook meat at a low temperature until it starts to fall apart. Great options include beef stew, corned beef, and pulled pork. If your aging loved one requires extra help with the activities of daily living like cooking and grocery shopping, a professional caregiver can help. Georgetown respite care professionals can assist seniors with a wide array of daily tasks, offering family caregivers the chance to focus on other personal responsibilities or take a break to prevent burnout. Whether it’s for a few hours a day or a few days a week, respite care is the perfect solution for family caregivers who are feeling overwhelmed. This classic side dish requires almost no chewing, and it is quite healthy if you include the skins and cut back on the cream. A surprising nutrition fact is that a dish with potatoes, potato skins, and butter provides all essential vitamins and minerals. Properly baked fish is so soft that it will flake apart as your loved one eats it. You can serve fish to provide healthy omega-3 fatty acids and protein. Avoid adding crunchy coating like a fried breading or crushed nut topping. PB&J sandwiches are easy to eat without teeth. Choose a jelly or jam without sugar, peanut butter without nuts, and whole wheat grain to make a healthy and easy to digest sandwich. Raw veggies tend to be too crunchy for toothless seniors, but they can become soft and easy to swallow after steaming or boiling them. This is a great way for seniors to get nutrients, fiber, and tasty meals. Beans are a healthy source of fiber and protein, and when you cook them long enough, they become completely soft. There are plenty of recipes available that include beans, such as refried beans, black bean soup, and baked beans. Blend frozen fruit with milk, yogurt, or peanut butter to provide a tasty beverage that contains a decent amount of calories, fiber, and nutrients. There are many flavor combinations available, which can prevent seniors from becoming bored with one type of smoothie. Having a professional caregiver to plan meals makes it easier to make the necessary changes for a healthier lifestyle. 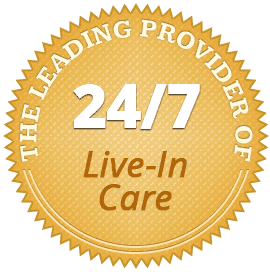 If your senior loved one needs hourly or live-in care, Georgetown Home Care Assistance can help. Our caregivers can assist with exercise and mobility, prepare nutritious meals, provide timely medication reminders, and help with a wide array of other important daily tasks. Get in touch with one of our professional Care Managers at (843) 353-3105 and find out how our senior care plans can help your loved one age in place comfortably.